Toys “R” Us has issued a recall on Clay Craft Kits due to risk of mold exposure which can pose a risk of respiratory or other infections, especially in individuals with a compromised immune system, damaged lungs or individuals with allergic reaction to mold. Consumers should immediately stop using this item and return it to Babies”R”US or Toys”R”Us. The recall is being issued for items sold nationwide dating from January 2017 to October 2017 with the Model #AD11244 printed on the bottom of the box. Babies”R”Us and Toys”R”Us will issue a full refund for any returned items under this recall. 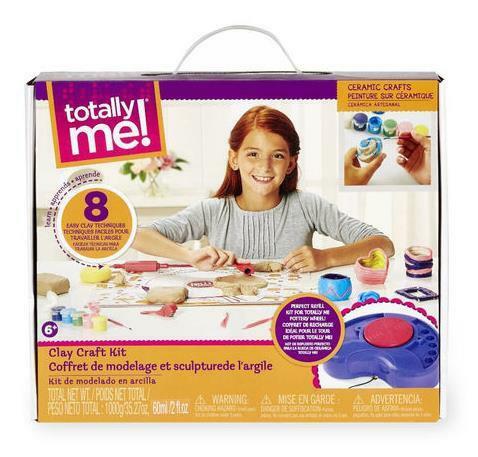 This recall involves “totally me!” clay craft kits. If you have any further questions or concerns, call Toys”R”Us at 800-869-7787 from 9 a.m. to 5 p.m. ET, Monday through Friday or contact the company online at www.toysrus.com and click on Product Recalls for more information.